Fri 14th – SPY vs SPY– A pairing of top funky American guitarist Alix Anthony with world class funky bass player Spy Austin. Everything these boys do gonna be FUNKY!! Sat 15th – TRAKonTRAK– ace drummer Sam Kelly returns to the USC with his party band – should be a fun night! 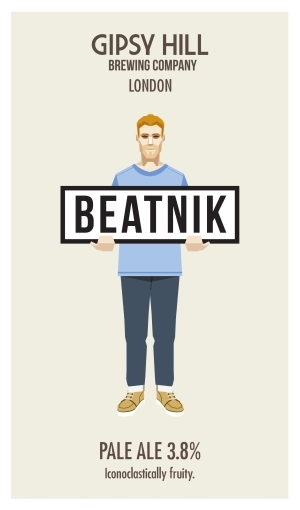 Sam has worked with Chaka Khan, Dr John, Ben E. King, Robert Plant, The Foundations, Gordon Haskell, Billy Ocean, Desmond Dekker, Eddie Floyd, Roger Chapman, Michelle Shocked, Stan Webb, Gary Moore, Paul Jones, Imelda May, Robben Ford, Andy Fairweather Low and Chris Barber ………… to name but a few! Bring your dancing shoes!! 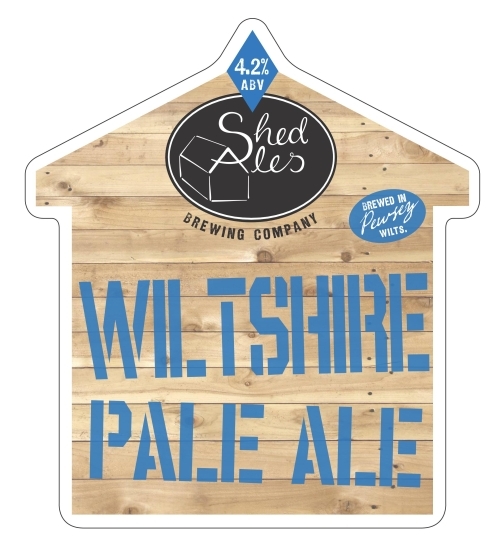 AMBER PALE [4.4%] – (NEW) RARE fresh-hopped version, which is made using Maris Otter pale malt with a touch of Crystal, and triple-hopped exclusively with Goldings sourced from Herefordshire. 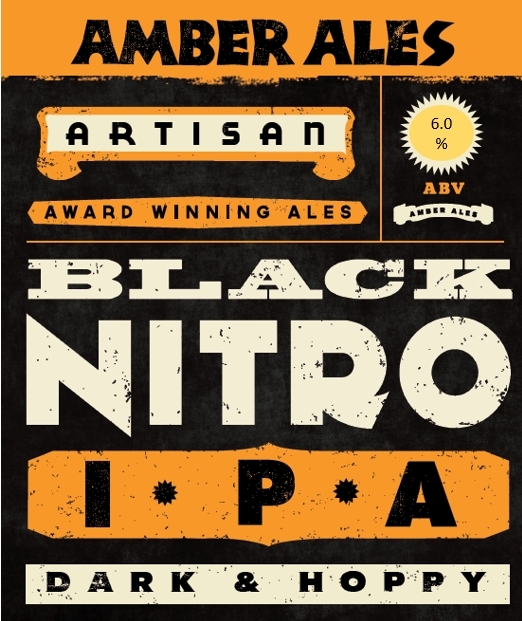 BLACK NITRO [6.0%] – Black in colour with the flavours and hop profile of an IPA with orange-citrus notes, this is a collaboration with Foolproof Brewing Co. of Pawtucket, Rhode Island USA. 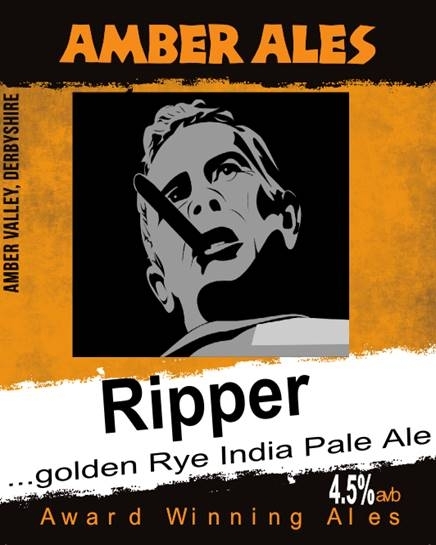 RIPPER [4.5%] -A pale IPA with rye malt and Columbus hops for spicy notes, topped off with Citra and Centennial. 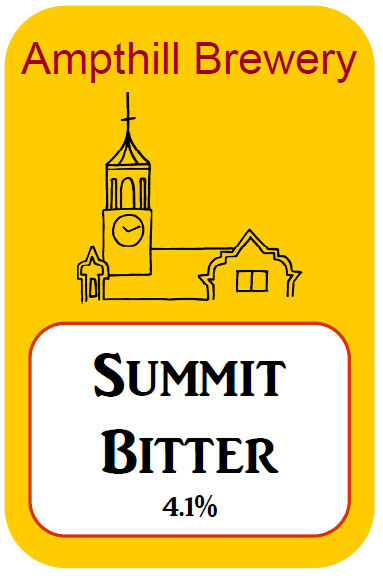 SUMMIT BITTER [4.1%] – (NEW) IPA styled bitter with the distinct flavour of American Summit hops, due to extensive late-hopping. The first of our own brews to our own recipe. 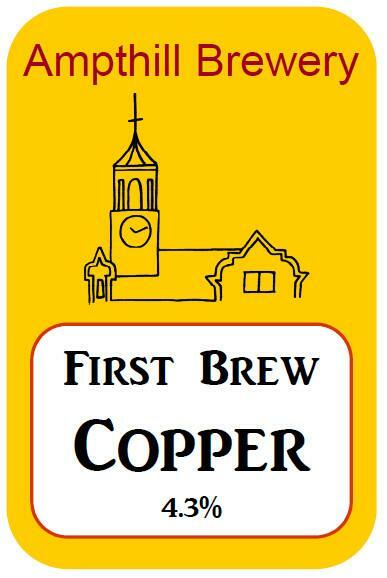 FIRST BREW COPPER [4.3%] – (NEW) A beautifully coloured full-taste copper beer, with a smoothness from crystal malt balanced with English Goldings hops. 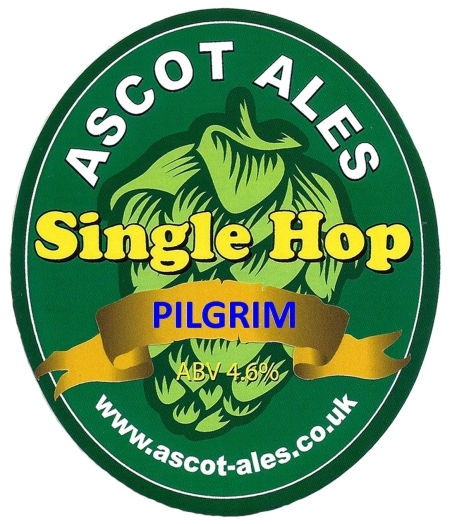 SINGLE HOP – PILGRIM [4.6%] – (Limited Edition) Monthly one-off single hop IPA brewed with Pilgrim hops. 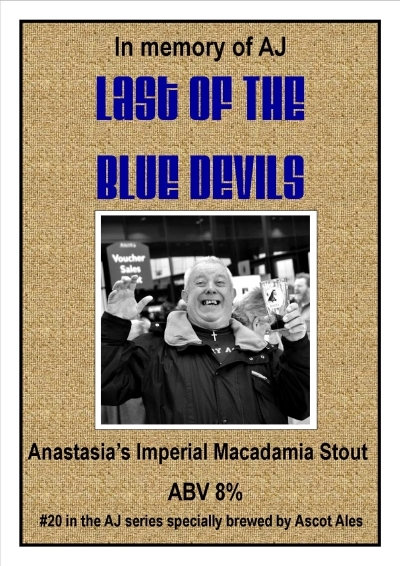 LAST OF THE BLUE DEVILS #20 – MACADAMIA [8.0%] – (Festival Special) One-off Anastasia’s Imperial Stout with Macadamia, 20th in a special series to commemorate the passing of USC member Alan Dunton, aka ‘AJ’. 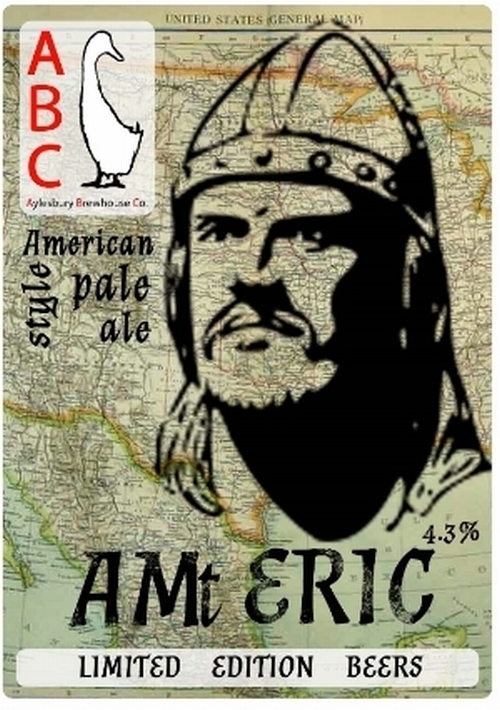 AMtERIC [4.3%] – Brewed with double helpings of Nordic-grown German hops, (& dry hopped with more!) to give a fresh, hoppy take on an Olde English IPA. PARADOX [5.0%] – Dark & strong with roast caramel malt flavours, cut through with big hop flavours from New Zealand’s finest Waimea and bittering from America’s Galena & Amarillo. 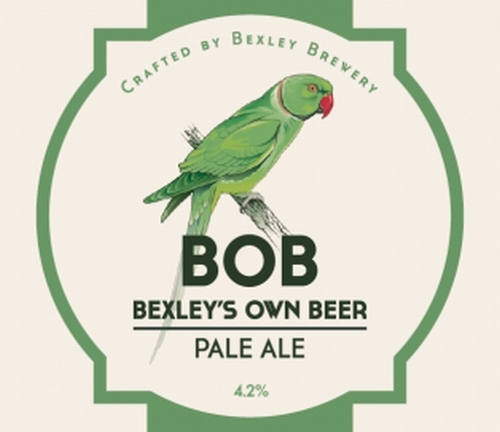 BOB – Bexley’s Own Beer [4.2%] – (NEW) Pale Ale, combining Crystal malts together with UK and New World hops. This ale is well-balanced due to gentle bittering and has a lingering subtle sweetness. 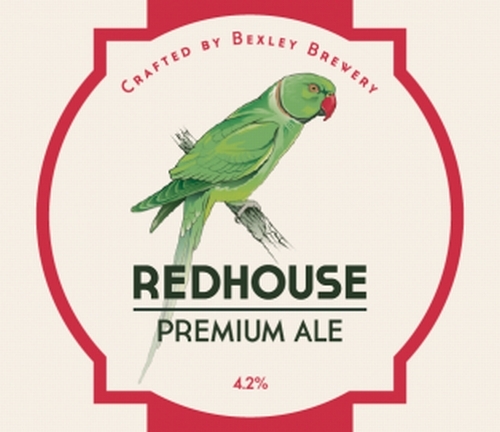 REDHOUSE [4.2%] – (NEW) Darker Pale Ale, combining Crystal malts with English Goldings hops for a richer flavour. This ale has subtle spicy notes with a mellow late hop bitterness. B-SIDE [4.2%] – Light and refreshing, with fruity notes and a gently malty, moderately bitter finish. FIRE STARTER [4.5%] – A golden ale malt profile together with some fruity hops give a mild bitterness which gives way to the flavour and background heat of the ginger. GRIDLOCK [6.5%] – Heavy on the malt, full bodied and with bags of flavoursome New World hops, one each from the US, Australia and New Zealand. 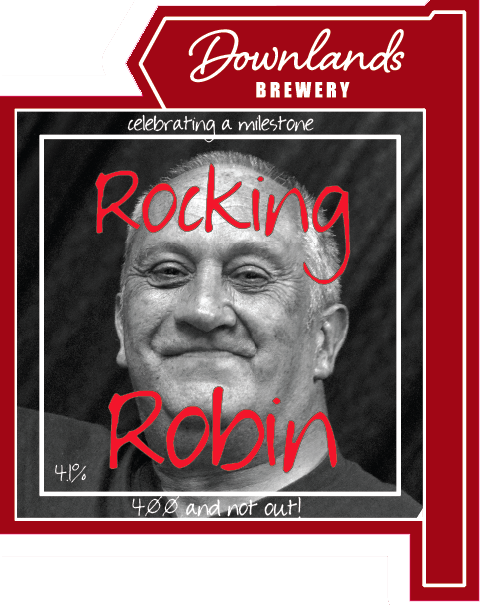 ROCKING ROBIN – 400 NOT OUT! 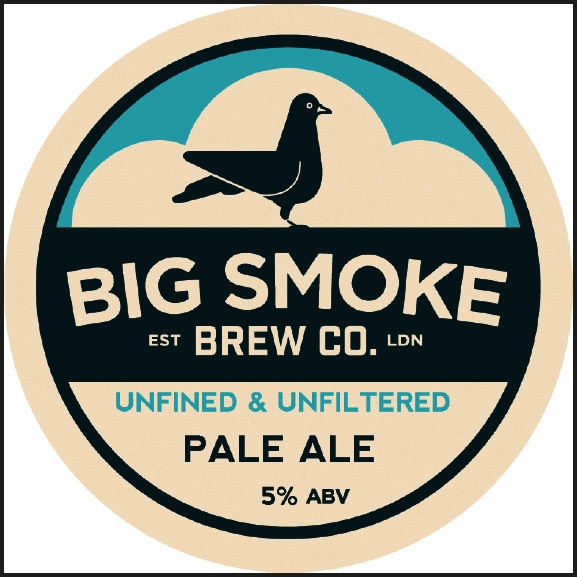 [4.1%] – (Festival special) One-off pale ale, a dry-hopped cask of the latest in the (confusingly unnumbered) Downlands Pale range. This one is brewed with Polaris and Columbus hops (and also dry-hopped with the same). 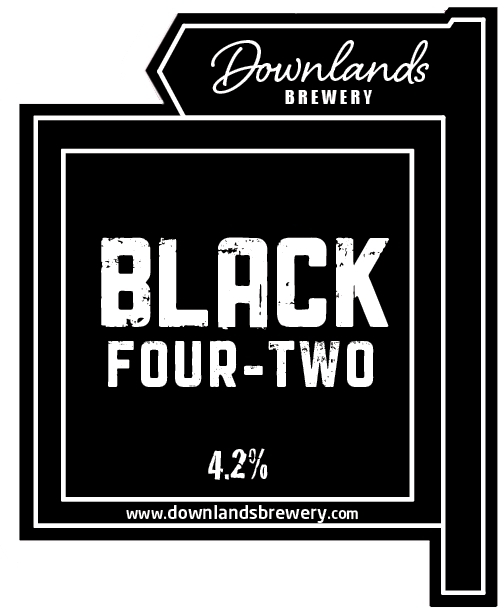 BLACK FOUR TWO [4.2%] – (NEW) Three hop varieties have been used to compliment the flavours generated by the six malts used to make this beer. 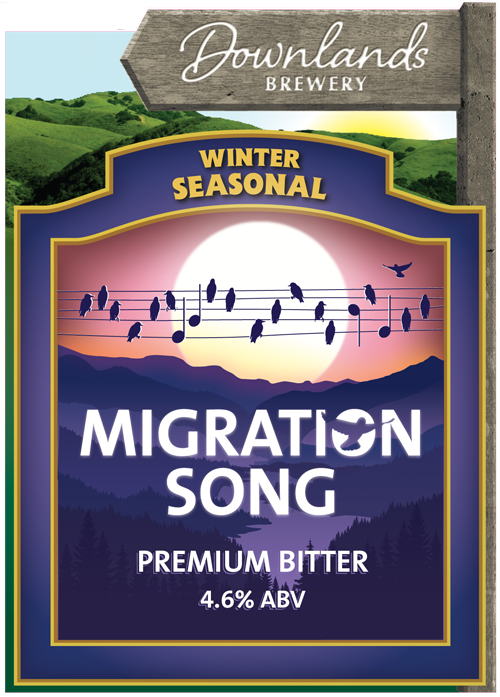 MIGRATION SONG [4.6%] – (NEW) Premium bitter. 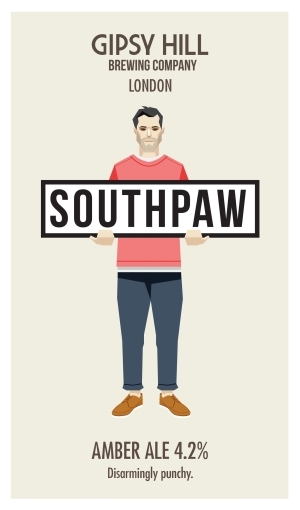 Freshly sawn Spruce, burnt toffee and hazelnut flavours. 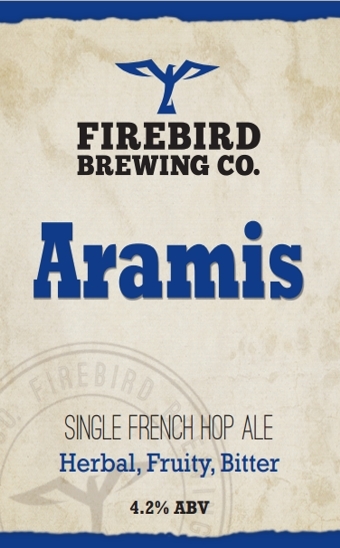 AMARIS [4.1%] – (NEW) A single hop variety bitter using the Aramis hop from the Alsace region of North East France. A pale straw colour beer with a really bold bitterness and a citrus and peach fruitiness. 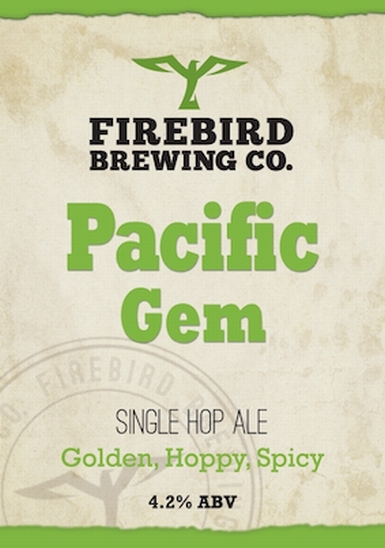 PACIFIC GEM [4.2%] – (NEW) A single hop variety bitter using the NZ Pacific Gem hop. 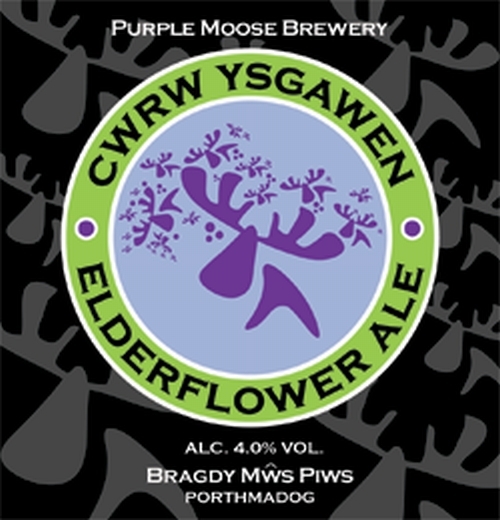 A pale straw colour beer with a pronounced bitterness and signature aroma of berry fruits. 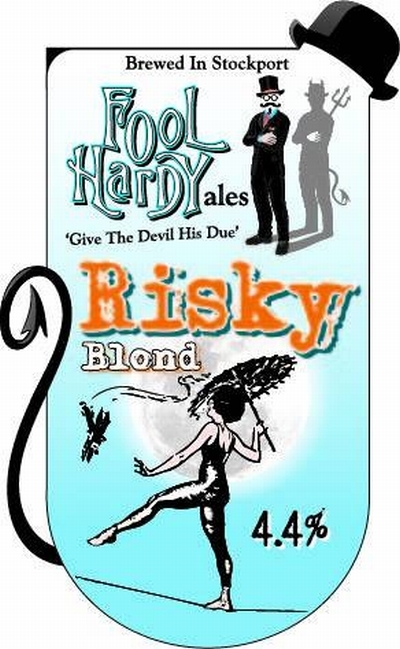 RISKY BLOND [4.4%] – Easy-drinking pale ale with a good balance of Cascade, Goldings and Eldorado hops, subtle hints of citrus and a well-rounded finish. 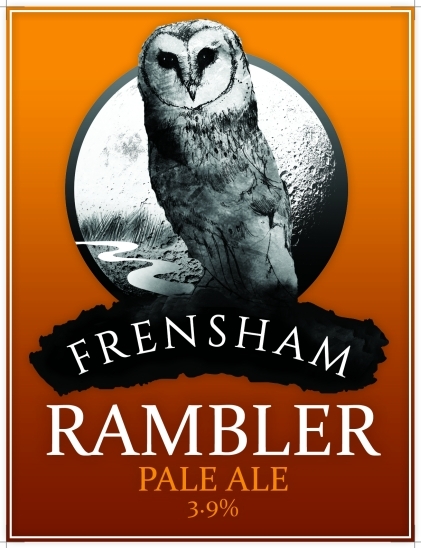 RAMBLER [3.9%] – (NEW) Golden refreshing session ale. Fruity hops with an oak edge give rise to a satisfying bitterness. A well rounded and interesting combination of floral and hop aromas make for a easily satisfying light beer. 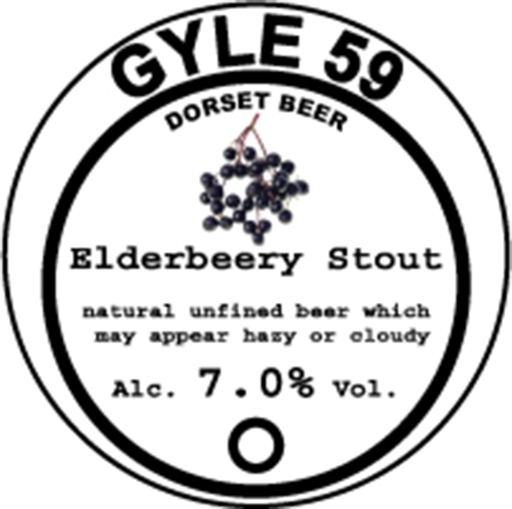 ELDERBEERY STOUT [7.0%] – A moreish warming stout reminiscent of burnt toast, jam and dark chocolate spread. 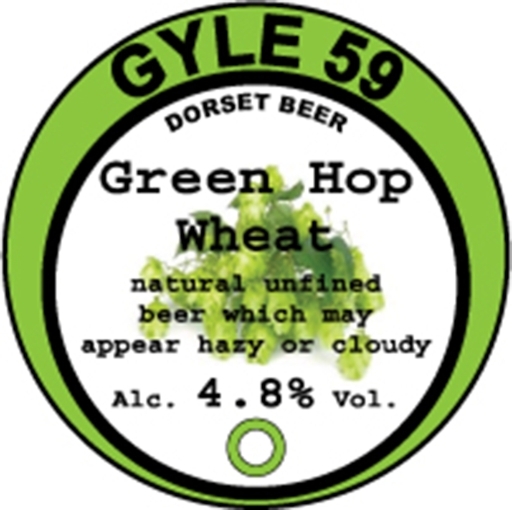 GREEN HOP WHEAT [4.8%] – Refreshing, fruity bubble gum, bitter and satisfying. 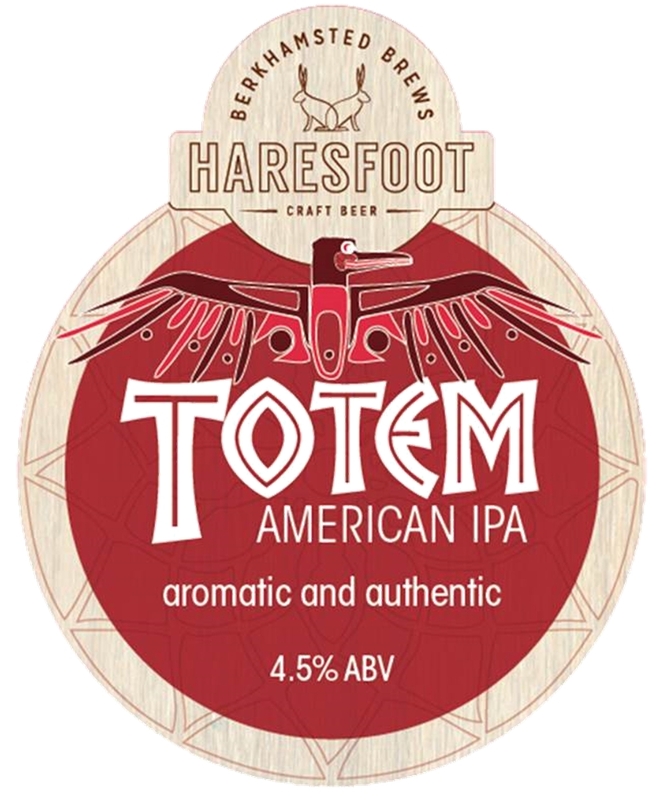 TOTEM [4.5%] – US style IPA which explodes with citrusy flavour and hop aromas, all perfectly balanced by a subtle malt character. This light, crisp, extra hoppy brew is full of character. 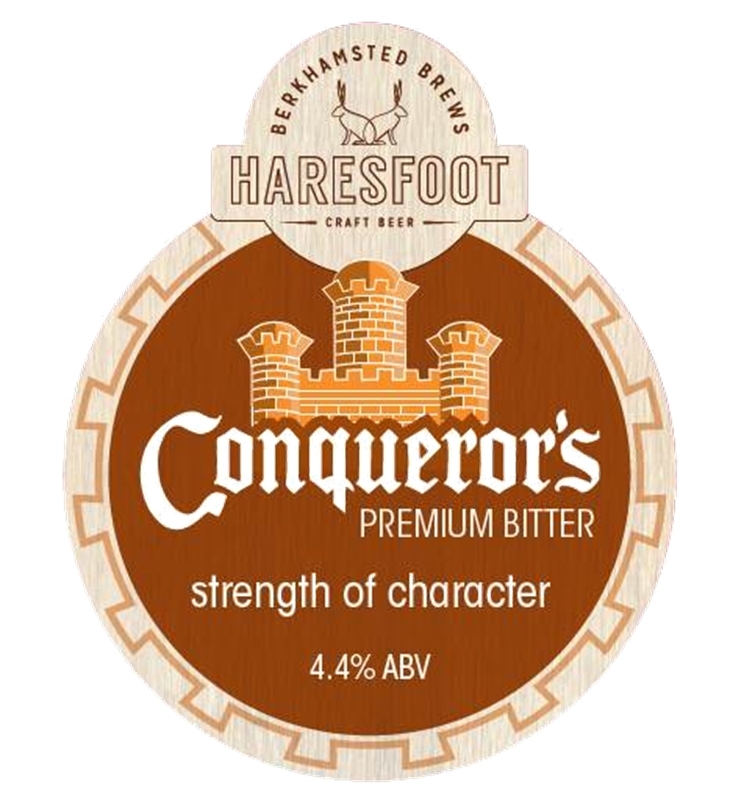 CONQUEROR’S [4.4%] – Boasts an abundance of roasted barley creating this rich chestnut coloured ale. 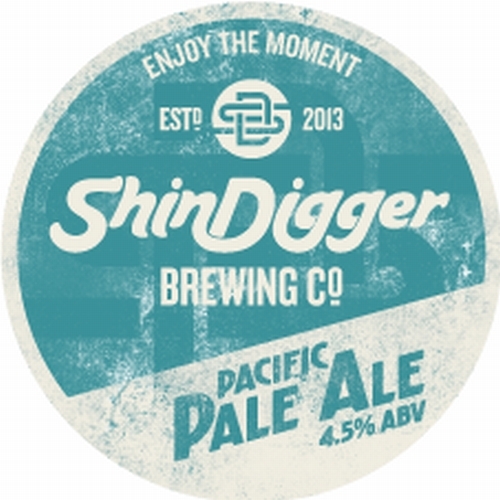 Simcoe hops offer a mixed malty and fruity nose balanced by a lingering malty taste. Conqueror’s is full-bodied, distinctive and strong in character. 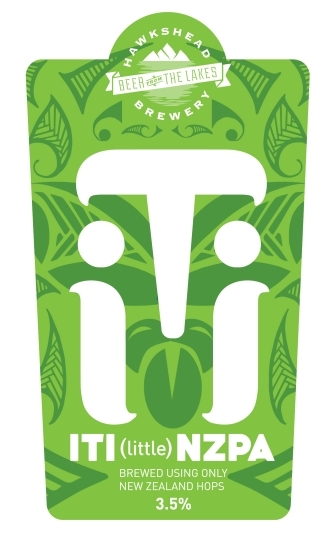 ITI [3.5%] – (NEW) Brewed with low colour Maris Otter pale malt and several NZ hops including; Nelson Sauvin, Motueka and Green Bullet. Crisp with citrus and floral aromas on the nose and huge flavours of gooseberry, grapefruit & tropical fruit. 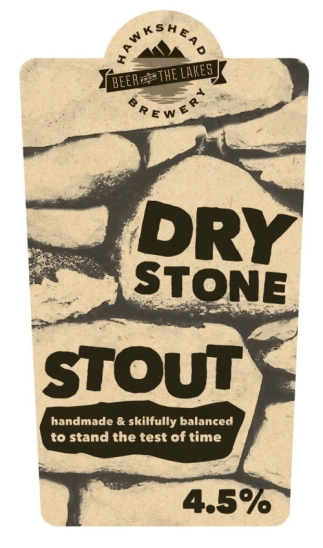 DRY STONE STOUT [4.5%] – (Limited Edition) Dry oatmeal stout. 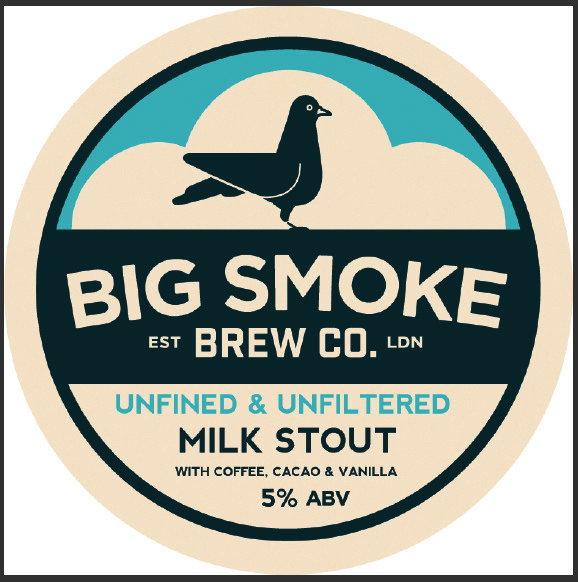 Aromas of chocolate and coffee, complex rich deep flavours from a blend of 7 malts, moderate bitterness and a long dry finish make it a satisfying and warming black beer. 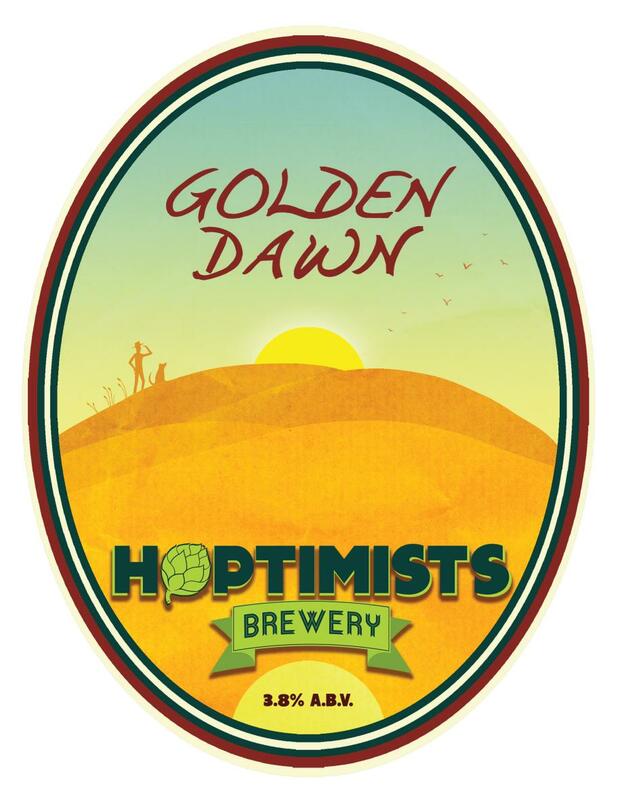 GOLDEN DAWN [3.8%] – Amber coloured summer ale using an infusion of several hops to produce a fruity and aromatic ale. 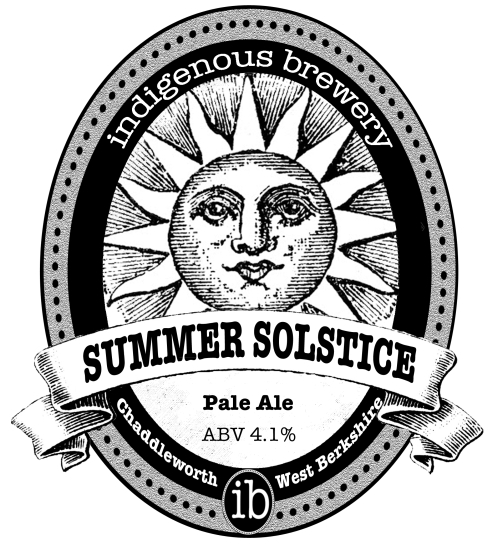 SUMMER SOLSTICE [4.1%] – A straw coloured beer with a fresh, hoppy aroma, coupled with a subtle bitterness that leads to an excellent long, dry finish. 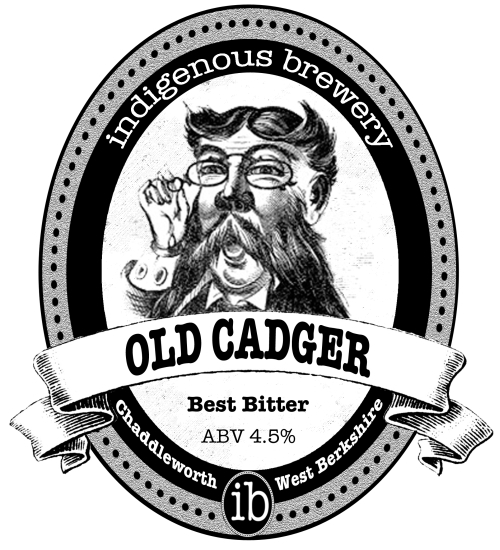 OLD CADGER [4.5%] – A classic best bitter. The rich malts combine well with the fruity hops to produce a balanced, full-flavoured best bitter. 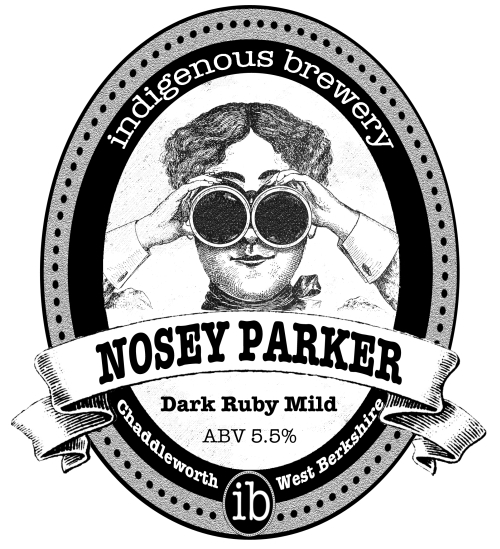 NOSEY PARKER [5.5%] – Dark mild, with a sweet malty base and a slight hop balance. With its ruby-red and creamy appearance, this is very much an easy drinking beer despite the higher ABV. 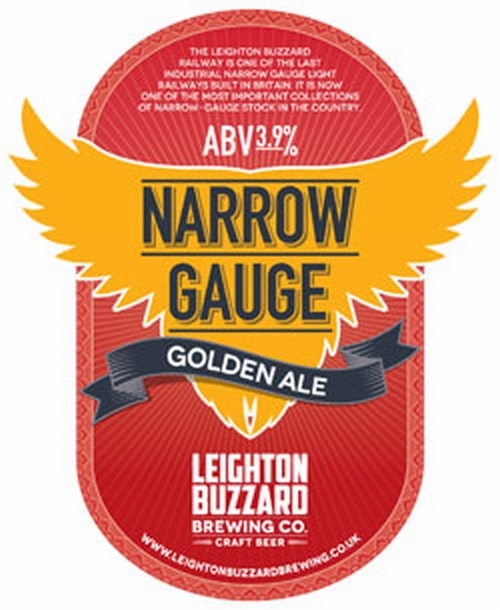 NARROW GAUGE [3.9%] – Named after the Leighton Buzzard’s narrow gauge railway this golden ale brewed with 100% British Maris Otter pale malt uses plenty of First Gold and Citra hops to deliver a light refreshing beer with a dry bitter taste and crisp citrus finish. 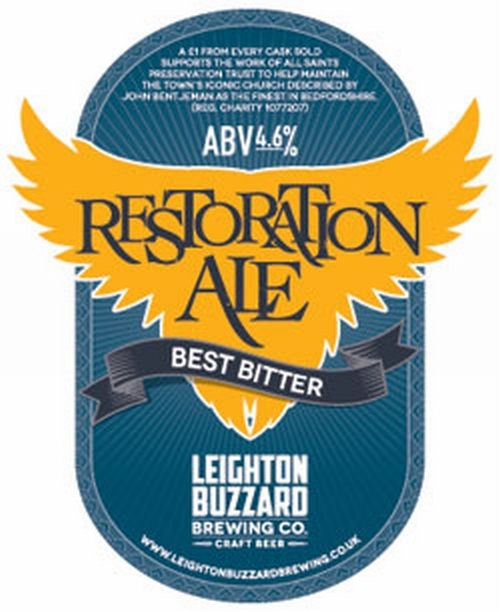 RESTORATION ALE [4.6%] – Mid brown ale with similarities in colour and strength to a traditional best bitter but benefitting from the generous use of American Cascade and Perle hops to deliver a fruity refreshing beer. For each cask sold a £1 goes towards the All Saints Preservation Trust (charity no: 1077207) looking after the town’s iconic church – the finest in Bedfordshire according the John Bentjeman. 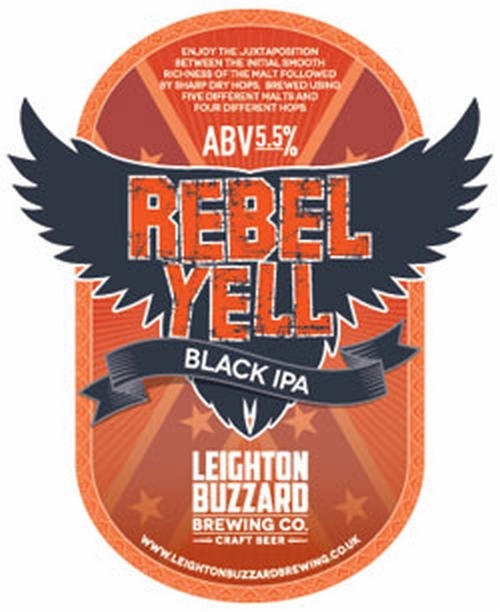 REBEL YELL [5.5%] – A black IPA offering that fantastic juxtaposition between the initial smooth richness of the malt quickly followed by the sharp dry hops. Brewed using five different malts and four different hops. 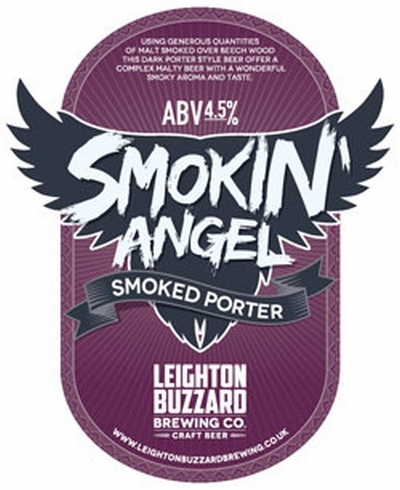 SMOKIN’ ANGEL [4.5%] – Using generous quantities of German Rauchmaltz smoked over beech wood in the Bamberg area of Germany this dark porter style beer offer a complex malty beer with a wonderful smoky aroma and taste. LITTLE ROSY [5.0%] – A rosy coloured, raspberry wheat beer, that is a masterpiece in balance, deceptively combining sweet raspberry aromatics with firm bitter taste. Light, fresh, with racy, thirst-quenching acidity. 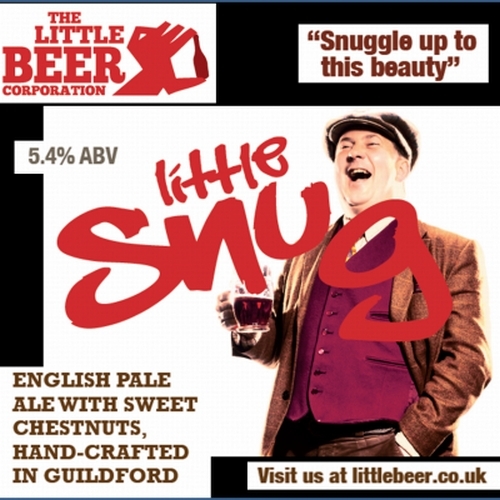 LITTLE SNUG [5.4%] – An English Pale Ale brewed with the Pale, Wheat, Crystal and Biscuit malts, with the addition of sweet chestnuts in the mash. 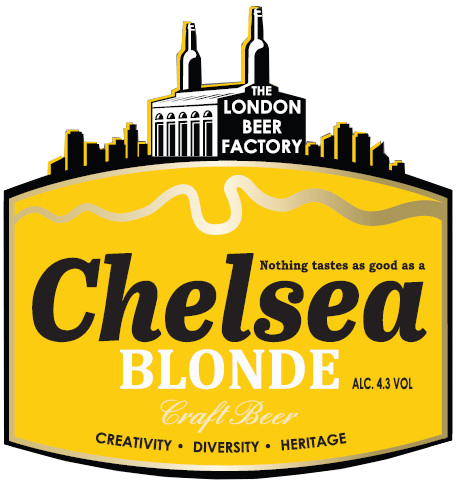 CHELSEA BLONDE [4.3%] – (NEW) Light refreshing blonde ale combining a beautiful body from English malts with a fruity aroma of the American hops. 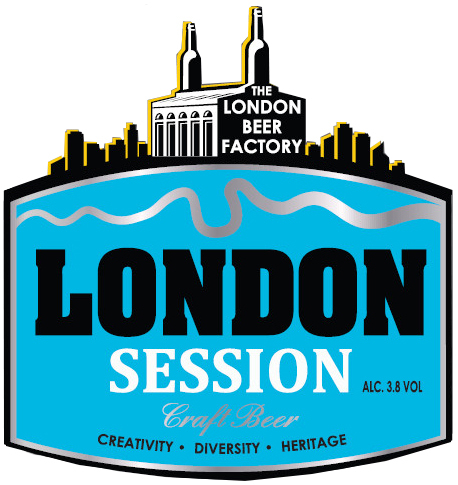 LONDON SESSION [3.8%] – (NEW) An easy drinking ale. 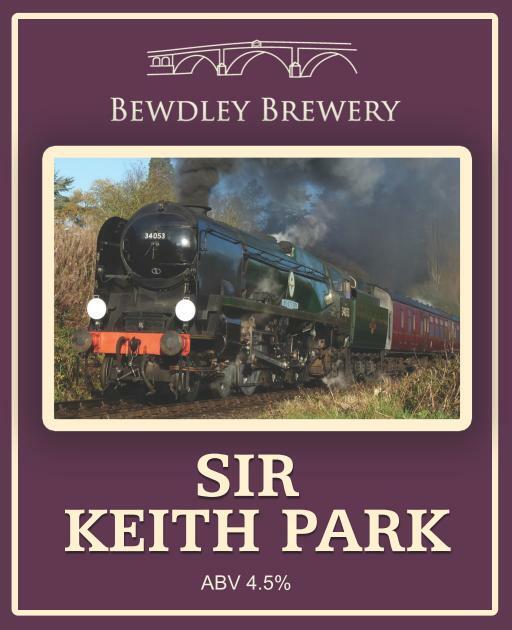 By combining the finest English malts and hops with a dose of dry hopping, a modern twist on a traditional session ale. It is a light bitter, slightly sweet with a chestnut colour. Hops used: Challenger, Golding and Bramling Cross. 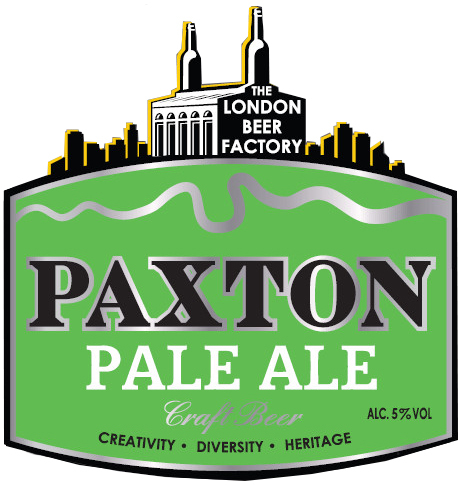 PAXTON PALE ALE [5.0%] – (NEW) American style pale ale. Five different grains combined with two of America’s most potent hops produce a beer that is well balanced with a fruity aroma, full body and smooth finish. 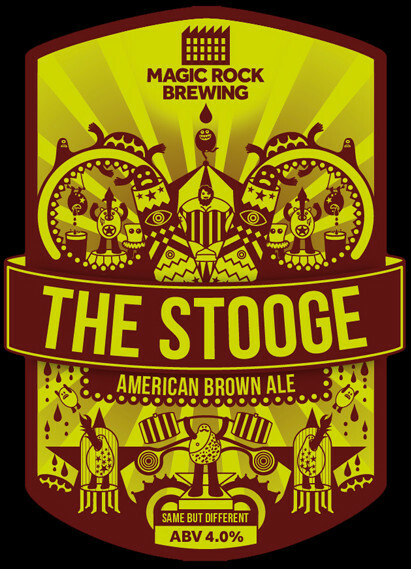 THE STOOGE [4.0%] – Low ABV American Brown Ale, packed with loads of speciality malts, brewed with a mixture of UK & US hops and dry hopped with lovely US Cascade hops. 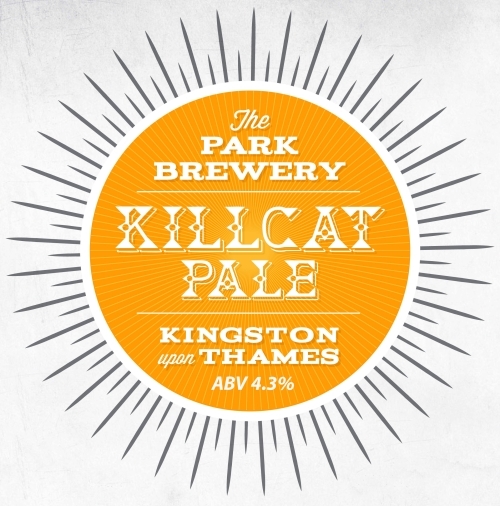 KILLCAT PALE [4.3%] – A refreshing pale ale, not too malty, brewed with New Zealand Galaxy and Motueka hops only, giving an aroma of fresh tropical fruit. 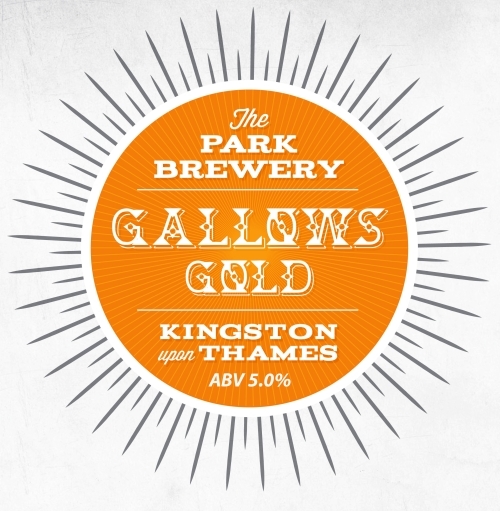 GALLOWS GOLD [5.0%] – Amber in colour, brewed with a pinch of Crystal Malt to give a touch of sweetness. UK hops are blended in the boil, and dry hopping is with Simcoe and Cascade from the USA, providing a fine aroma. 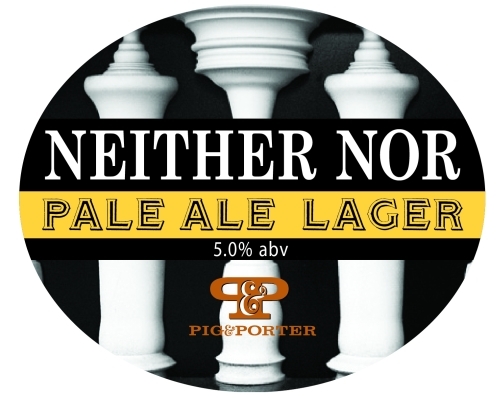 NEITHER NOR [5.0%] – (New) A pale ale brewed with a lager yeast, this beer is neither one thing, nor the other. Brewed for drinkers who don’t like a lot of up-front bitterness, this beer features piney and citrussy hops while the lager yeast lends a crispness often lacking in other pale ales. 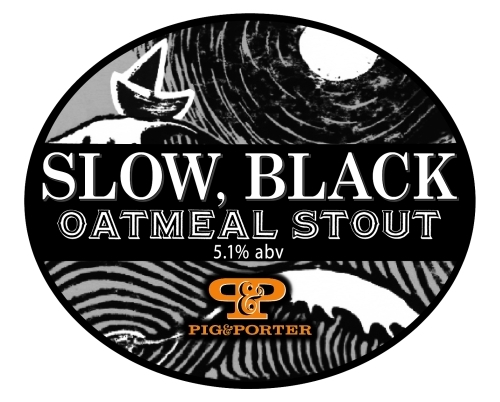 SLOW, BLACK [5.1%] – (New) Mashed high for a full mouth feel this stout features porridge oats as well as de-husked dark malt to enhance the smoothness and limit roasty bitterness. Delivers smooth coffee and chocolate with a hint of berry fruit. 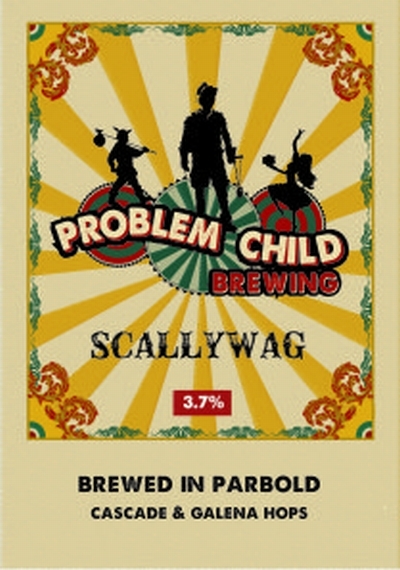 SCALLYWAG [3.7%] – Golden hoppy beer, brewed with Cascade & Galena hops. 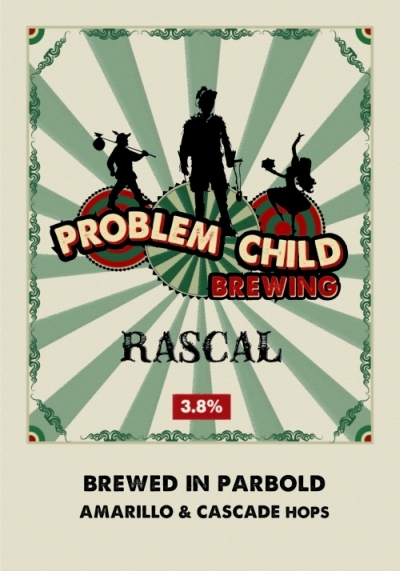 RASCAL [3.8%] – Refreshing straw colour Pale Ale, packed with Amarillo and Cascade hops, to give tropical fruit and citrus flavours. 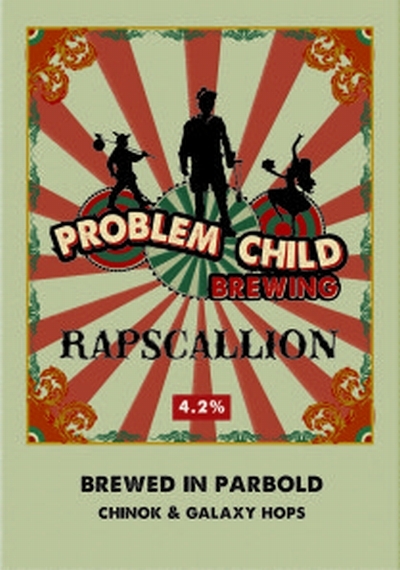 RAPSCALLION [4.2%] – Deep golden ale with flavours or toffee and a gentle liquorice background; brewed with Chinook & Galaxy hops. 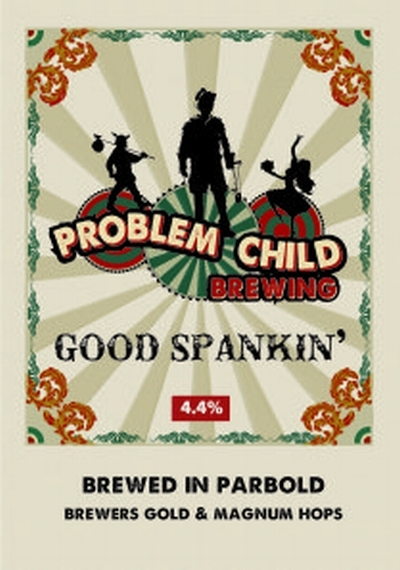 GOOD SPANKIN’ [4.4%] – Golden, sharp and dry; full of flavour with a strong finish. Brewed using a lager malt with Brewers Gold and Magnum hops. SCOUNDREL [4.6%] – Light and easy drinking straw coloured hoppy ale brewed using Cluster hops. 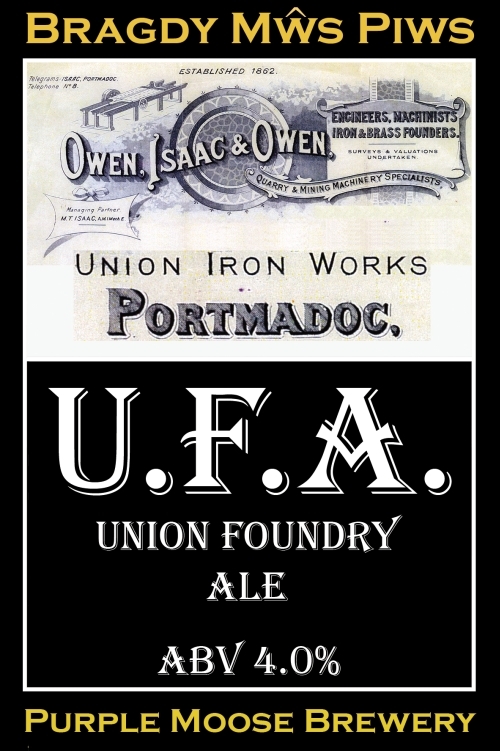 UNION FOUNDRY ALE [4.0%] – A sturdy pale ale with spicy cinnamon overtones. 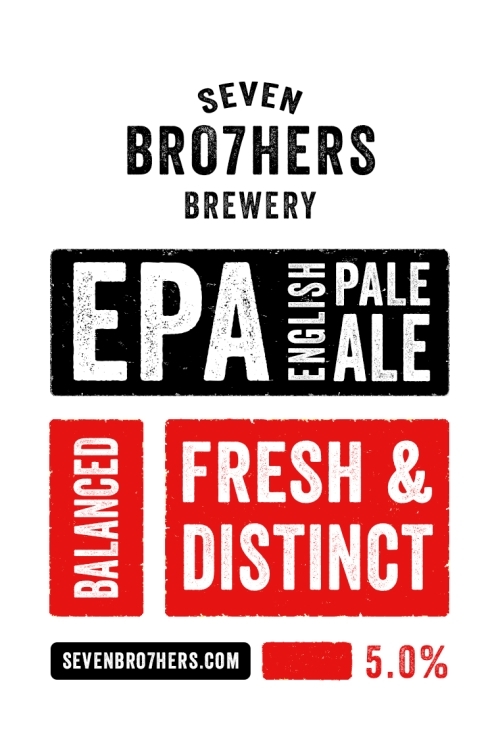 ENGLISH PALE ALE [5.0%] – A classic English ale with a pale malt base that combines both grapefruit and citrus flavours from Chinook hops, with pine and floral tones from English hops Target and Sovereign, during which, a pleasant and floral aroma can be enjoyed throughout. 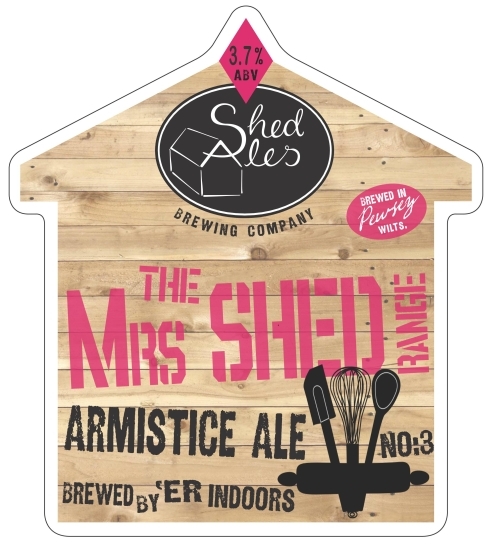 ARMISTICE ALE [3.7%] – A collaboration of Great British malts and hearty US hops; a little red ale that packs a big punch! 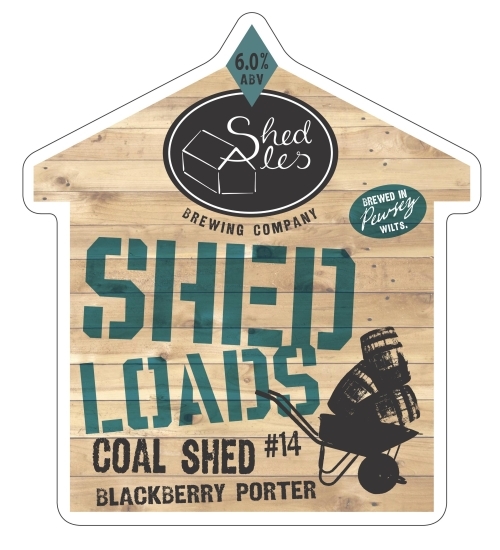 COAL SHED [6.0%] – A true West Country porter brewed with copious amounts of blackberries picked from the Pewsey hedgerows by the brewer and his mum! PACIFIC PALE ALE [4.5%] – NZ and US hops, with a focus on the NZ varieties which give tropical fruit notes; Crystal malt to add a slight caramel flavour and give the beer its amber glow. 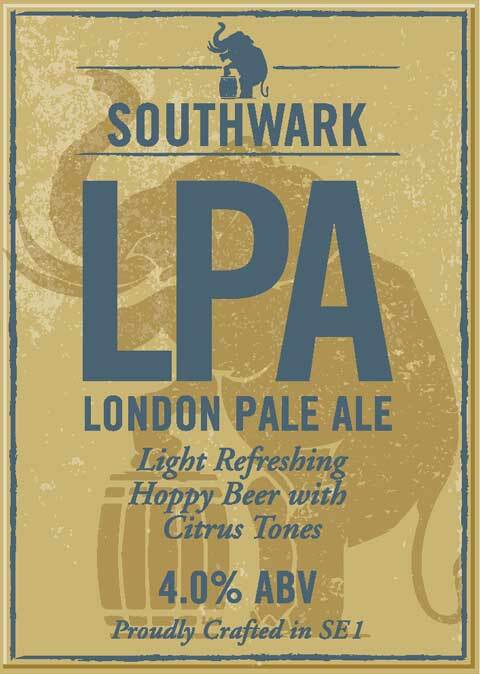 LPA – LONDON PALE ALE [4.0%] – (NEW) Traditional English Ale with Kentish Hops. 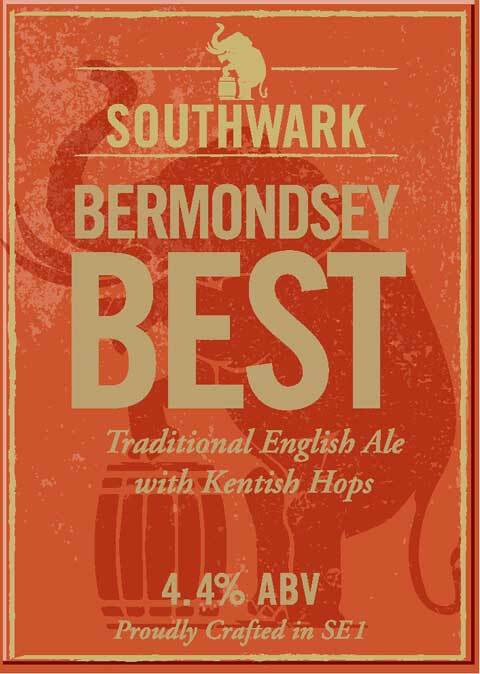 BERMONDSEY BEST [4.4%] – (NEW) Light refreshing hoppy beer with Citrus Tones. 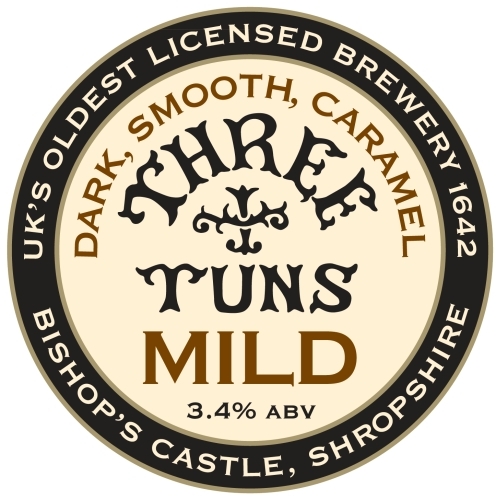 MILD [3.4%] – Dark, smooth, mild with rich caramel and chocolate flavours. 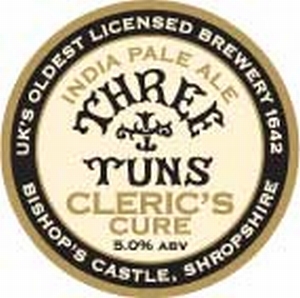 CLERIC’S CURE [5.0%] – A light-tan beer presenting medium malty-sweetness with powerful, spicy, floral bitterness and hop character designed to re-create the iconic style of India Pale Ales of the 19th. Century. 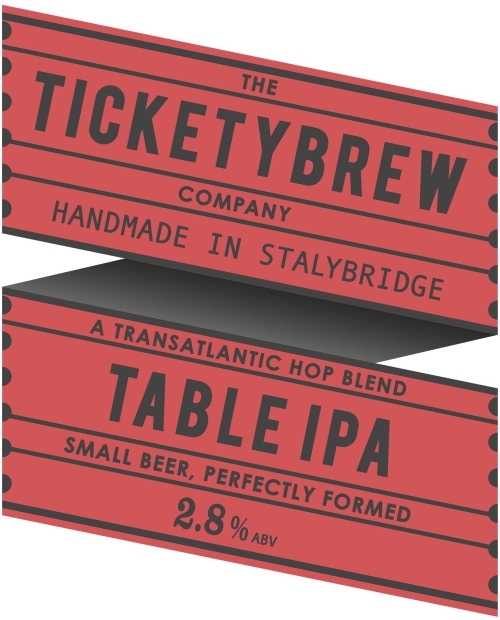 TABLE IPA [2.8%] – Emphasis on hop character to bring out life and flavour in this low strength beer. Aromas of rich apricots and a touch of fizzy sherbet. Really happy about the amount of hop character without the bitterness. 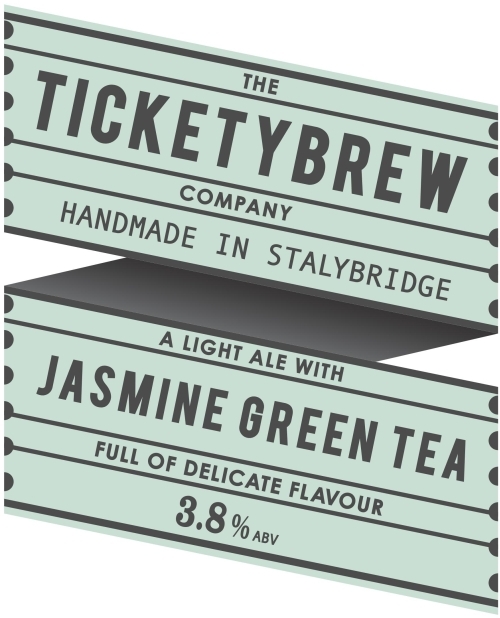 JASMIN GREEN TEA [3.8%] – Low alcohol beer needn’t be low in flavour. We have brewed a light ale but added jasmine green tea phoenix pearls (fancy eh?) The lemon peel has created a refreshing beer, with a balanced bitter finish. A light and refreshing ale with a unique floral aroma from the delicate Tea used during the brew. Our special yeast provides a lovely sweetness while hop bitterness is complimented by fresh lemon rind. 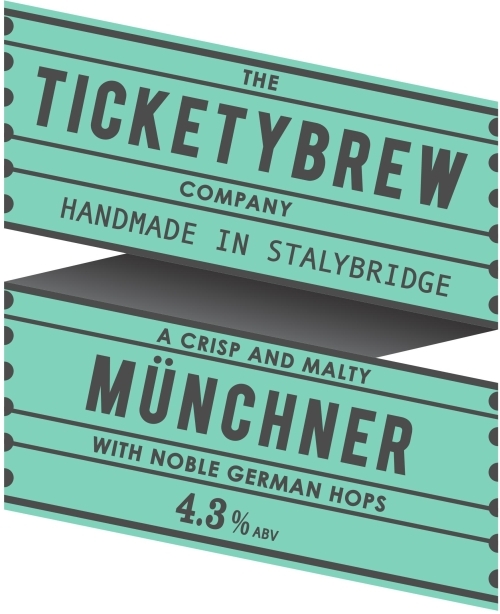 MUNCHNER [4.3%] – Mixing malty caramel sweetness with a distinctive German hops, a traditional beer is given a new lease of life with the spicy flavours of our Belgian yeast. A tribute to our Central European friends – Prost! 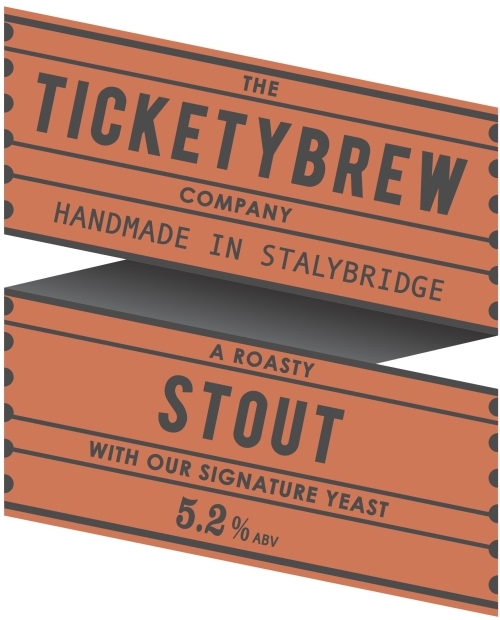 STOUT [5.2%] – Like a warm fire on a winter’s day, our stout is all about the smoky, roasty flavours. This balanced by a touch of treacle and a good dose of spice, thanks to our Belgian yeast. 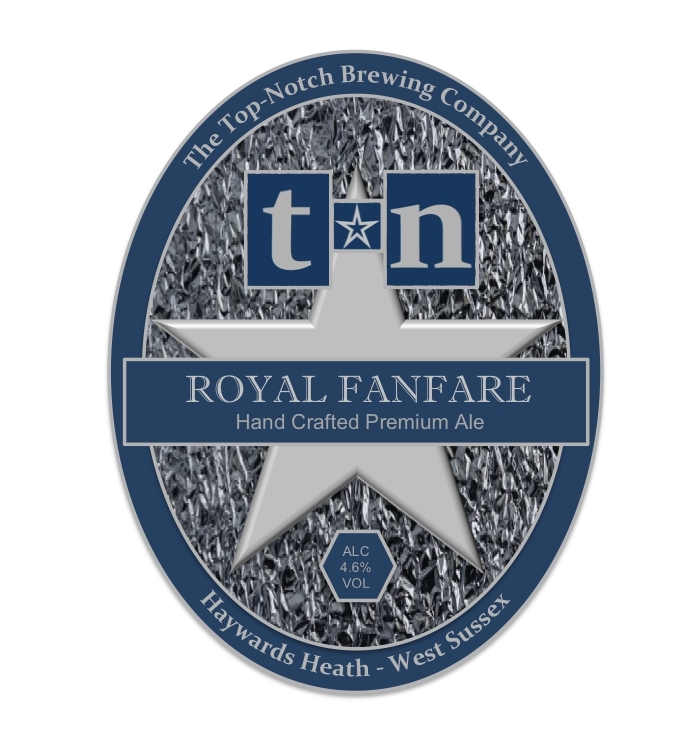 ROYAL FANFARE [4.6%] – Medium bodied subtly sweet malt taste, with a floral, gently spiced hop flavour & aroma brewed with Maris Otter, Crystal & Black Malts and Fuggles & EKG Hops. 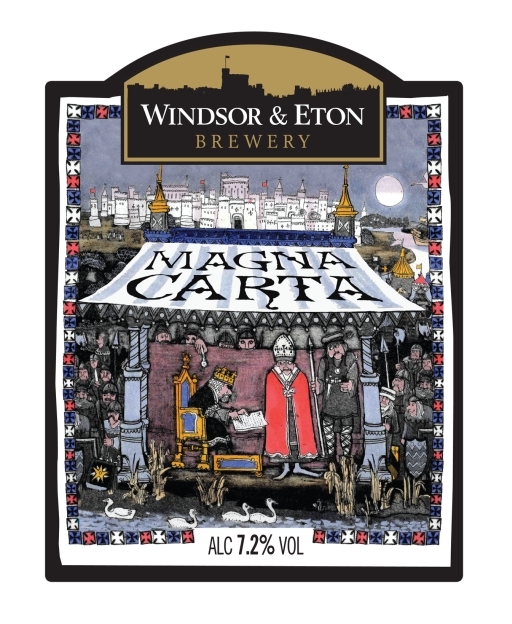 MAGNA CARTA [7.2%] – Barley Wine. 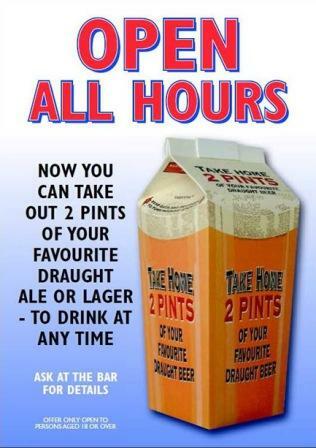 Rare in cask. WEBrew ran a competition for members of the London Amateur Brewers to find and brew on a small scale the perfect Magna Carta beer. 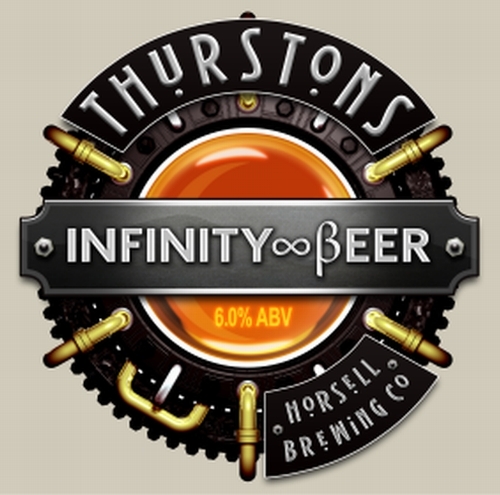 The winning beer was brewed by Manmohan Birdi and, together with his daughter Jani and Roger Protz, brewed his recipe at the brewery on 21st June. 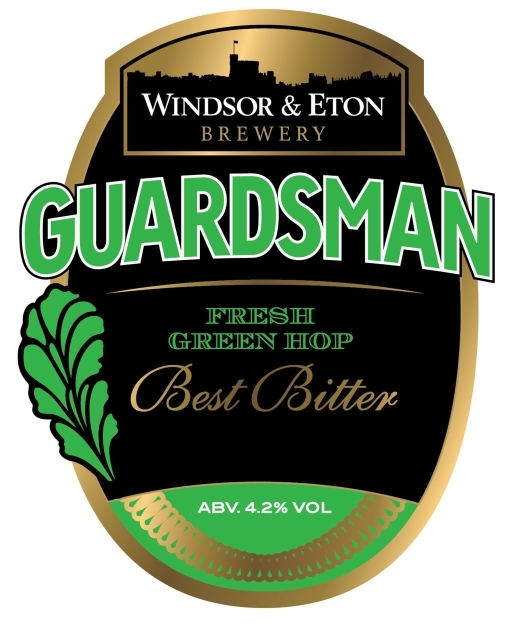 GUARDSMAN – FRESH GREEN HOP [4.2%] – Fresh hop version of this classic English Best Bitter, brewed with premium floor malted Maris Otter and traditional whole leaf hops including Fuggles and Goldings, including those grown at the brewery and in our gardens. 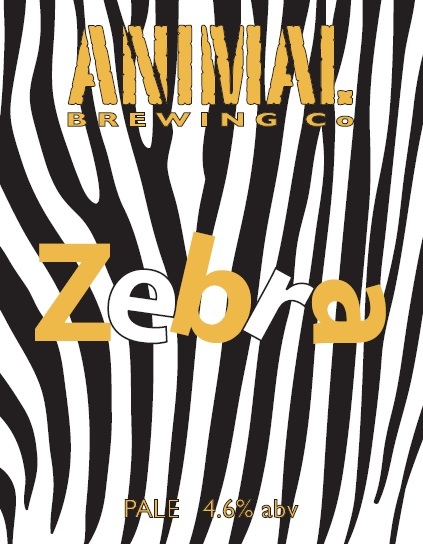 ANIMAL – ZEBRA [4.6% ]- (LIMITED EDITION) Brit-hop pale ale brewed with all British Ingredients – English Hops: Admiral, Endeavour and Challenger on English Pale Malts. 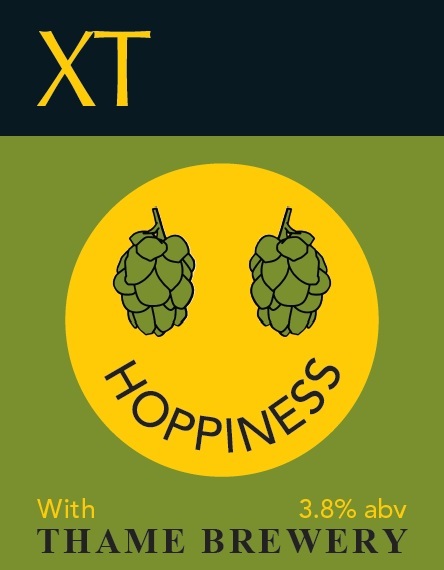 HOPPINESS [4.2%] – (LIMITED EDITION) Brewed in collaboration with the Thame Brewery , a crisp golden pale ale with American Cascade and Columbus hops. SPANKERS IPA [5.9%] – Hopped with Centennial and a blend of hops from around the world, which will change with each batch. Full on. DARK HILL [6.2%] – Almost black in colour but without the heavy malt flavour of a Porter. Rounded off and heavily hopped with Topaz hops from Australia and Polaris from Germany. TWO STORM RUBY [7.1%] – A dark ruby beer brewed with Munich Malt and a touch of Crystal Rye for added depth. Heavily hopped using a blend of Columbus and Pacific Jade.